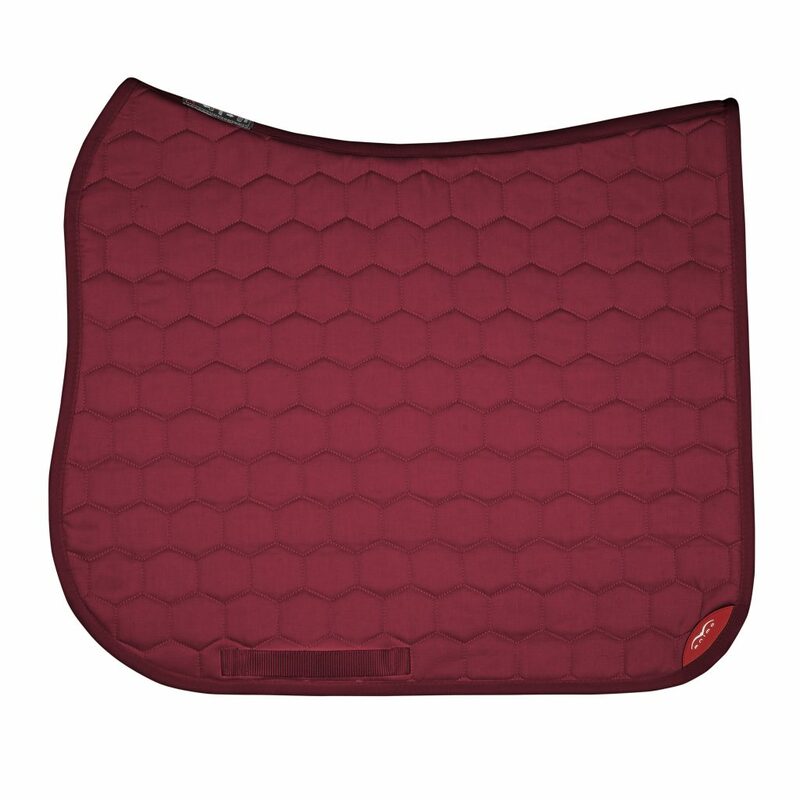 Saddle pad is part and parcel of equestrian equipment. Its main task is to protect your horse’s back from chafing. What is more, it should absorb moisture and protect the saddle from it. Usually it is made of synthetic materials or cotton. Saddle pads are made in various sizes and shapes that respond to the saddle’s type under which they go. So, which one to choose for your own needs? VS – this profile is for versatile saddles. It is sometimes call a general-use saddle pad. It’s also good to mention size chart of Italian brand Equiline, because it is significantly different from typical sizes and cuts. H – the so-called tear, a counterpart for Eskadron’s SR.
DS – dressage profile shaped as a saddle (the so-called dressage-saddle profile). PDN – dressage profile for small saddles. There are thin cotton saddles and thicker saddles with padding available on the market. A thicker saddle pad with padding will be better at protecting the horse’s back but you will have worse contact. At the same time it will be more comfortable. For some it’s an advantage, for some it’s the opposite. 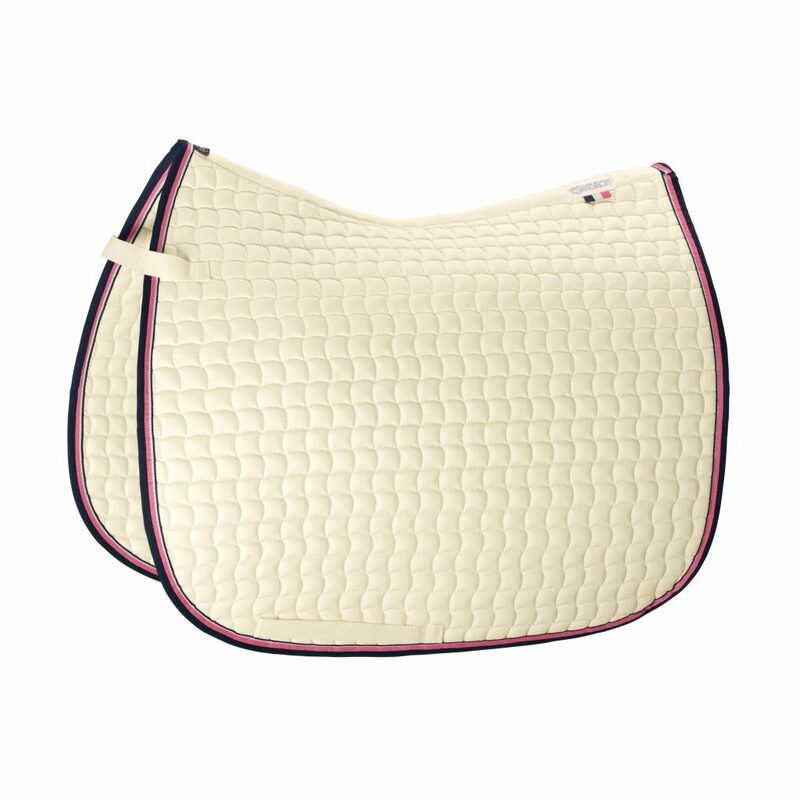 You can also find saddle pads with fur, which has additional function as an absorber and as a decoration. 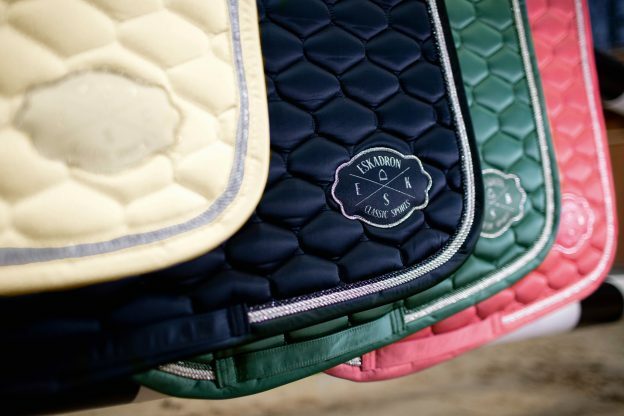 Choosing a saddle pad is mostly your own personal preferences. However, you should remember that it also needs to be made of high quality materials to work properly. It should also be delicate on the bottom not to irritate the horse’s skin. This entry was posted in equipment and tagged animo italia, eskadron, saddle cloths, saddle pads on March 20, 2019 by admin. How much money you should have to be a horse rider? How to begin your equestrian journey? What you need to know about horses?